I'll try to cover all experience levels, not just scala experts. Can I get a quick show of hands: who's been doing scala for lt1 year? lt2? lt3? Alright. Just a few words about myself: I'm from Germany originally, but live in NZ (so please excuse my accent) and work for company in silicon valley. I'm an apache member and tinkerpop committer. Tinkerpop is basically the jdbc of graph databases. And I'm the author of gremlin-scala, which uses scalas typesystem to help you build typesafe graph database queries on the tinkerpop stack. I was pleased to hear that some people at the conference actually use gremlin-scala, and they weren't angry at me. I work for ShiftLeft, we do static code analysis using graph databases to find vulnerabilities. after slide: Ask: who has used ever written an old style macro? Who is still maintaining it? code generation is an equally if not more important subject for metaprogramming. 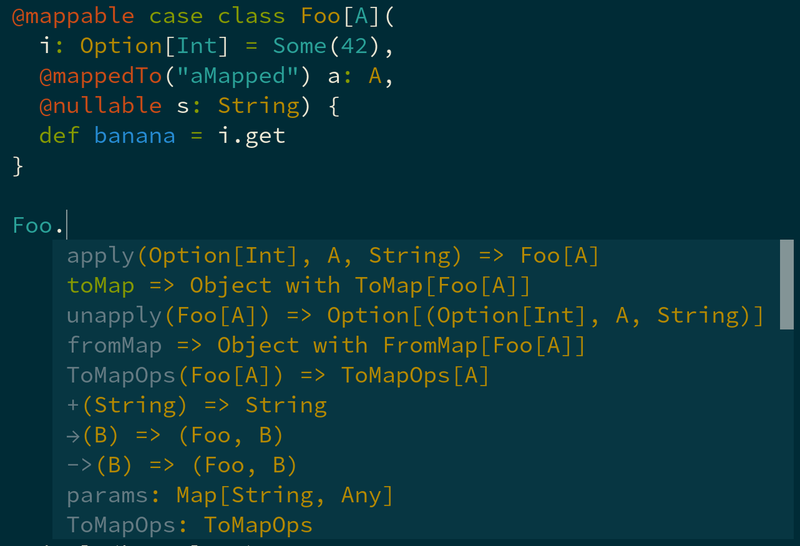 def toMap(c: Customer): Map[String, Any] = ??? Ok, so how does it work? Here's the plumbing you need to do. Fairly simple. // Definition of object, class, type etc. 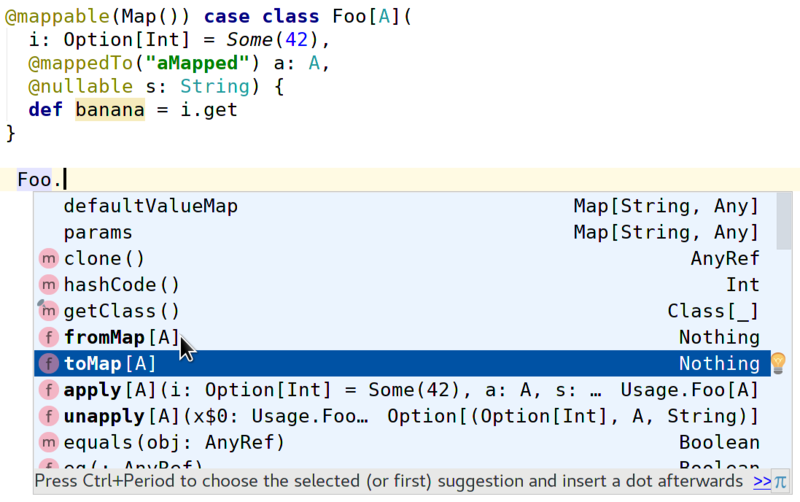 In some sense, scala.meta is just another scala library, so it makes sense to familiarise ourselves with the ADT.